Much to my father’s disappointment, I’ve never cared about cars or motor-sport. I was just as bored at age 10 watching a vintage hill climb as I was at age 21 at the Goodwood Revival. When I first became interested in watches, I thought I had found an escape from the exhaust fumes but now I see that watch lovers are usually just as big petrol-heads as well. 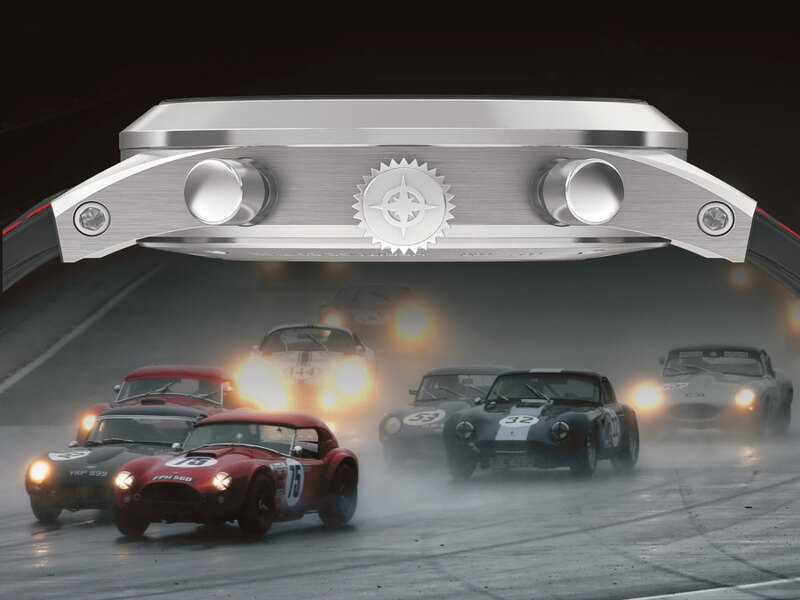 Racing and timepieces have a long history together and I don’t think it’s a coincidence that the golden age of racing lines up pretty well against the golden age of mechanical chronographs. Famous watches like the Daytona, Carrera, and Top Time all have links to motor-sport, but one lesser-known watch is making a comeback; The Gallet Multichron. One or more members of the Gallet family have been involved in watchmaking for over 500 years, starting with Humbertus Gallet become a clockmaker in 1466. The family didn’t begin making watches until 1826, but that’s still several decades older than many other watch brands still around today. For most of the 20th Century, Gallet were known for making precision chronographs, with one of their most famous watches being the Multichron. The Multichron began as a single-pusher chronograph for British RAF pilots in World War I, but over fifty years it evolved into a prestigious racing chronograph. The most famous of the Multichrons is the 12, aka ‘the Jim Clark’, named after the famed race-car driver who purportedly wore one during his win of the Indy 500 in 1965. 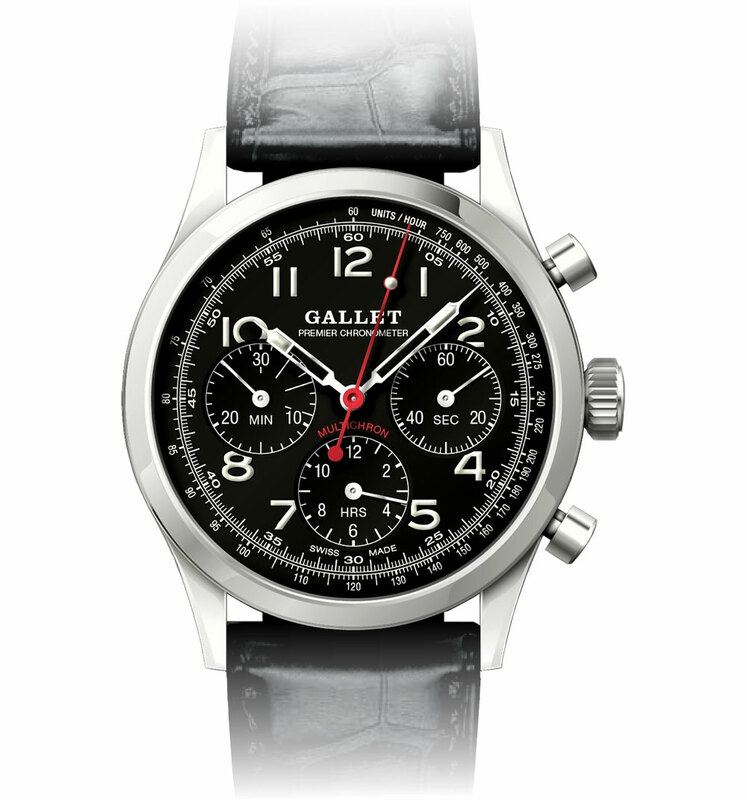 It is this watch that Gallet are planning to remake in the form of the Heritage Edition Chronograph. Looking at the design and specifications of the Heritage Edition, it is clear that Gallet wants to stay as close as possible to the original design whilst updating certain aspects for a modern audience. 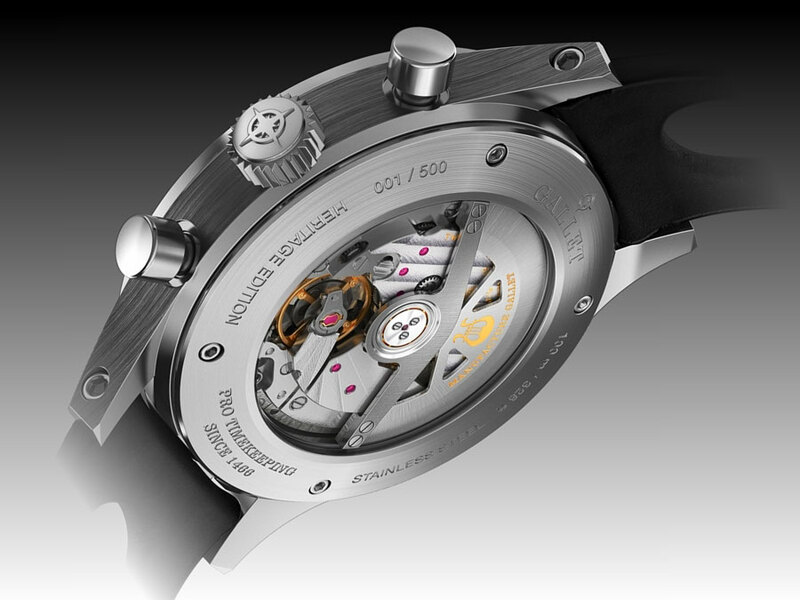 The size of the logo has been increased with an additional line of text added beneath reading Premier Chronometer. The multichron name now appears above the six o’clock register along with abbreviated labels of minutes, hours and seconds appearing in each of the appropriate registers. The enlarged syringe hands are now semi-skeletonized with a lumed tip, and the central chronograph hand is now colored bright red for extra legibility. The case size has been increased from 38mm to 40mm, but this is to be expected given the change from a hand-wound to a self-winding movement. Whilst the original Multichrons used either the venerated Valjoux 72 or the equally well-respected Excelsior Park 40, the Heritage Edition will use a self-winding Vaucher Caliber 550. The Caliber 550 will boast a 50-hour power reserve, has a ‘low-mass 28,800vph variable inertia balance that transcends gravity‘ and Gallet describes it as a Premier Chronometer. Adding a word in front of a chronometer rating is nothing new in the watch world as both Omega and Rolex add nice sounding descriptors to their watches, namely Master and Superlative respectively. 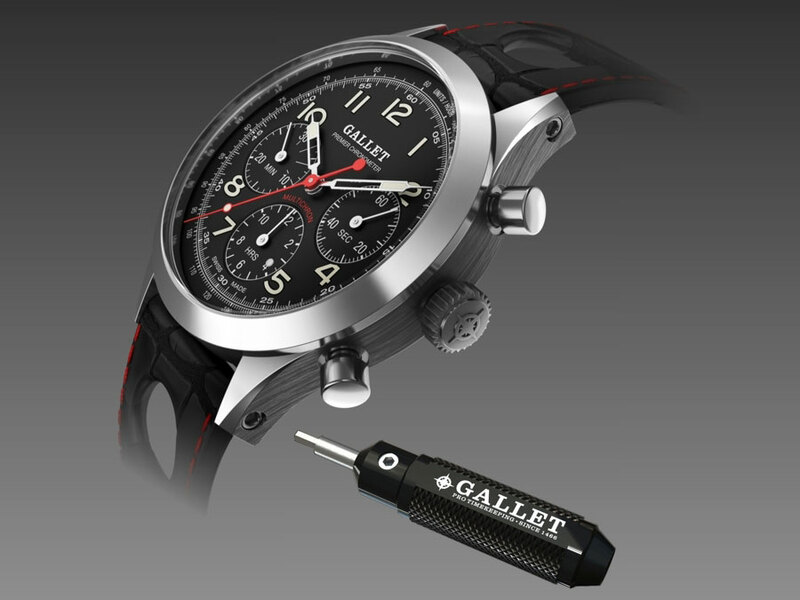 Gallet’s website says that all functions of the watch will have ultimate timing precision but lacks any further detail regarding what this means. If I were to guess, I would assume that they have plans to a) have the time-keeping and chronograph functions chronometer rated or b) have the time-keeping rated twice, once whilst the chronograph is active and once when it is inactive. Yet due to the lack of clear information, all I can do is guess. As enticing as the details of the watch are, I do question whether Gallet are able to get the Heritage Edition off the starting grid, let alone make it across the finish line. As someone with an interest in brands lost to time, I would love to see Gallet return as a maker of precision chronographs but the price of the Heritage Edition seems exceedingly high.